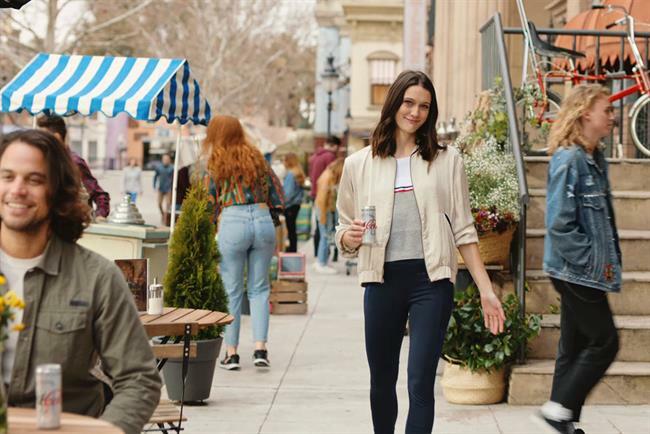 Diet Coke's advertising used to be full of a confident swagger but has now been replaced by an apathetic, limply-scripted 'Because I can' campaign that makes the viewer die a little inside. Coca-Cola says its latest campaign is "all about doing the things in life that make you happy, no matter what anyone else thinks". Okay, great. So what are these rebel-without-a-cause actions in the eyes of the soft drinks brand? Wearing athleisure, living in a yurt, running a marathon and, yes, drinking Diet Coke. "Look, here’s the thing about Diet Coke, it is delicious and it makes me feel good." This is the quality of script-writing the ad launches with and it is all downhill from there. The travesty is this awful campaign is no one-off, but is a near word-for-word replica of the US version of the ad. The American actress has been transplanted by a Brit but they managed to maintain the joyless nature of the original. Bring back the spirit of the ‘Diet Coke Break’ ad and the women unashamedly leering at a construction worker.